Cincy SC’s Goalkeeper Academy is for players who are considering specializing in goalkeeping or just want to get better and more confident when playing the position. 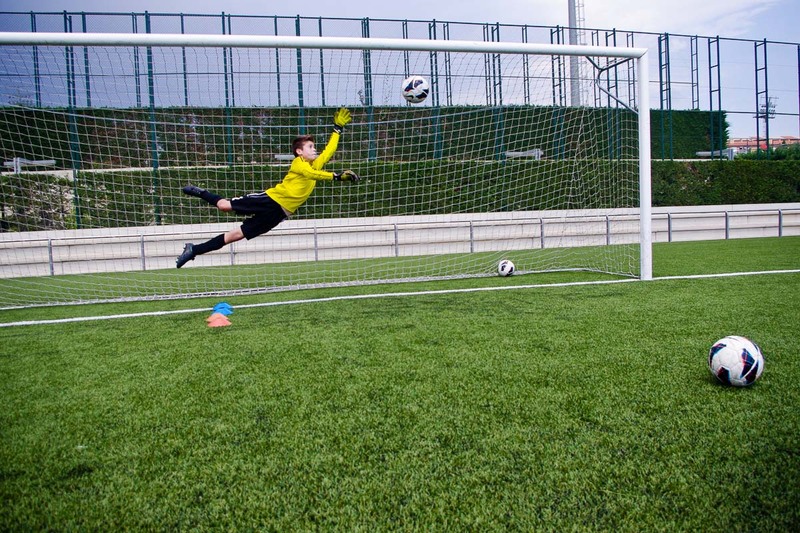 There are no tryouts, and sessions are intended to be fun and challenging while helping players develop the technical, tactical, psychological, and physical skills needed to excel as a goalkeeper. Technical – shot saving, catching & handling, diving, boxing, tipping, parrying & redirecting, crosses, boxing, penalty kicks, and breakaways. Also distribution, throwing, rolling, punting, drop kicks, and goal kicks. Tactical – anticipation, angles & positioning, defensive organization, setting up walls, reading the attack, breakaways, recycling, and restarts. Psychological – handling pressure, refocusing after being scored on, leadership, motivating your team, staying centered, self analysis, and positive projection. Physical – proper warm-up, effective cool-down, pressure training, strength & agility, footwork mobility, flexibility & coordination. Goalkeeper Camps: We partner with Russell Lewis Soccer Camps to offer Goalkeeper Camps during the summer and winter. If you’re interested, please sign up and we’ll make sure to get you more information about our goalkeeping sessions.